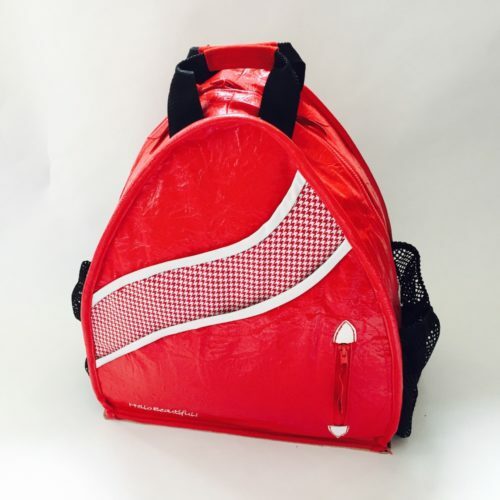 Specially designed to carry all the Pickle Ball or Tennis essentials needed for your Game! 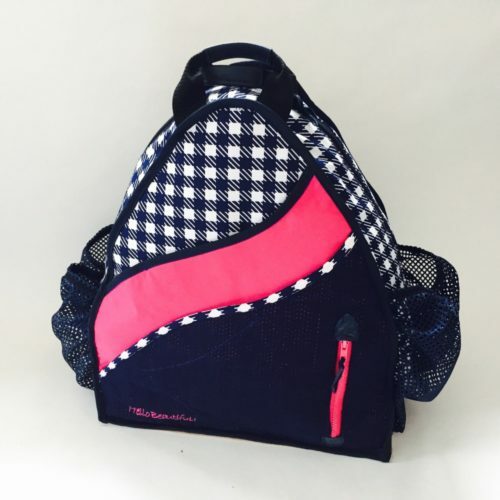 Each bag is truly “One of a Kind” and details will be varied. If yes, please describe the social cause. Hello Beautiful is a business who pride themselves in providing earning opportunities for persons with disabilities. As well, they source over 90% of the fabrics from Our Social Fabric, a textile recycling initiative. 90% of the fabrics came from Our Social Fabric, a textile recycling initiative. A couple of years ago, while working with cosmetics, Denise Jones-Chu noticed something; she realized how important it was to remind her clients how beautiful they were, despite any beauty products. Denise believes that each one of us has something beautiful, we just don’t always see it in ourselves. As an artist, she decided to use her skills to spread this idea. She started by naming her business “Hello Beautiful”. From textiles to ceramics, every one of Denise's creations is a reminder of how beautiful we are. Portfolio includes hi-fired ceramic buttons, hand knit, felted, stitched, hand dyed, re-furbished and re-purposed items.